The elections for the mayor of New York City will take place November, 2017. 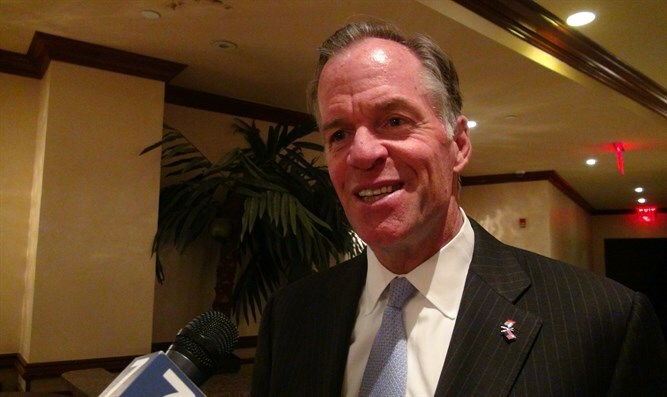 Arutz Sheva spoke with Paul J. Massey, one of the candidates running for mayor this year. "New York City is a community of fantastic Jewish people, the biggest population outside of Israel," Massey said. When asked what he would do about the anti-Israel BDS movement, Massey responded: "I am completely pro-Israel. We will support Israel from New York, in a partnership with Israel every chance we get." "There is no room in New York City for intolerance, about Israel or the Jewish people. No room whatsoever."